Organometallic Reaction Mechanisms of the Nontransition Elements provides selected significant developments in organometallic reaction mechanisms and outlines a self-consistent set of interpretations of these mechanisms. This book is organized into eight chapters and begins with discussions on bonding in theoretically important types of organometallic compounds and the potential surfaces and their relation to mechanisms. This is followed by significant chapters on electrophilic displacement reactions. Polar 1,2-addition and elimination reactions are covered in a separate chapter. 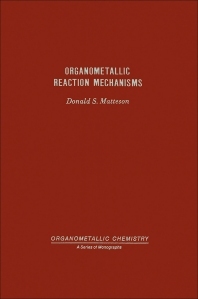 Radical and photochemical reactions are described in the concluding chapters of the book, including the reverse reaction involving incorporation of a free metal and an organic halide into an organometallic compound. Organic chemists and researchers will find this book invaluable.